Two months after Katrina's horrifying rampage, New Orleans is already preparing for the next hurricane. The first step was fortifying its famous Superdome, to ensure a better shelter for the needy. The project was completed just in time for Halloween, as the city unveiled the newly erected "PumpkinDome" (see image below). 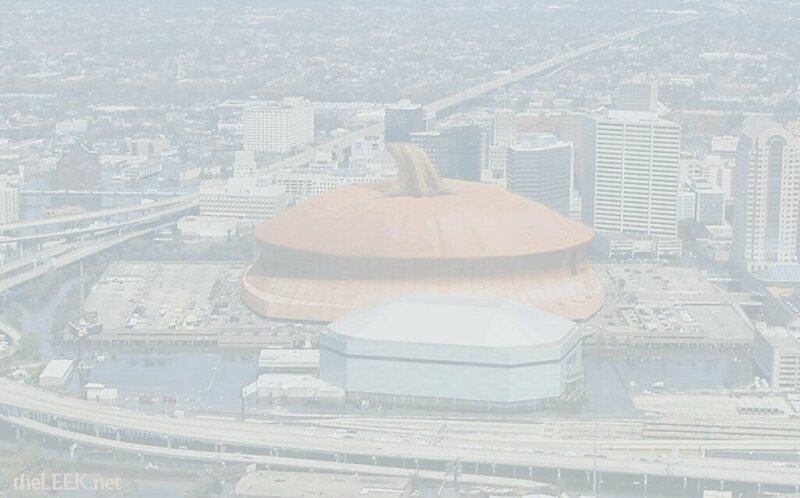 According to New Orleans' mayor, Ray Nagin, the pumpkin based arena has many advantages over the former structure, including the ability to feed its inhabitants with pumpkin chunks that can be yanked off the walls. Nagin also assured that the new dome is safe from any future disaster: "If anything happens to it, it will grow right back!" In addition, state officials hope that the new dome will help to keep New Orleans NFL team in town, as the Saints are known to be particularly fond of pumpkin pies.